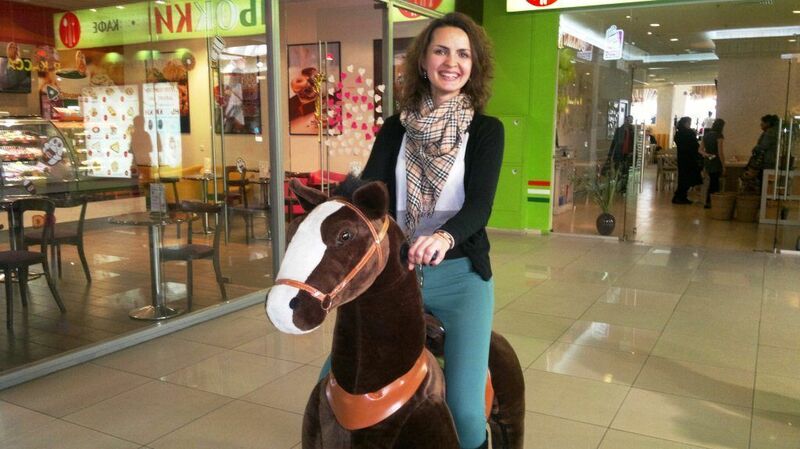 The main way that entrepreneurs can use PonyCycle to start a business with minimal start up costs is through rental. We recommend that anyone planning to rent out PonyCycles opts for professional models, which have a range of features specially designed for public use. 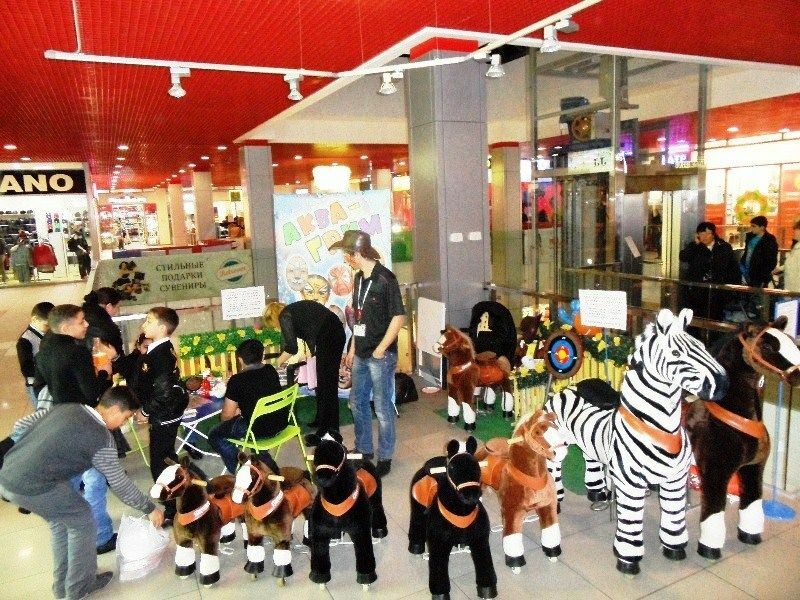 While PonyCycles can be used in parks in warmer times of year, in winter there are also opportunities to rent them out in shopping centres and entertainment complexes. Here are some calculations to show you how easy it is to make money with PonyCycle. Let’s say you set yourself up with 7 PonyCycles for rental, and rent them out at 3 euros for 10 minutes. Assuming all the PonyCycles are being used all the time, you make 126 euros per hour (18*7). In an 8-hour day, that means that the maximum total income is 1008 euros. Of course - you are unlikely to rent out all the PonyCycles all the time. However, even if the PonyCycles are in use just 30% of the time it is still possible to make 300 euros per day, and 8000 per month. 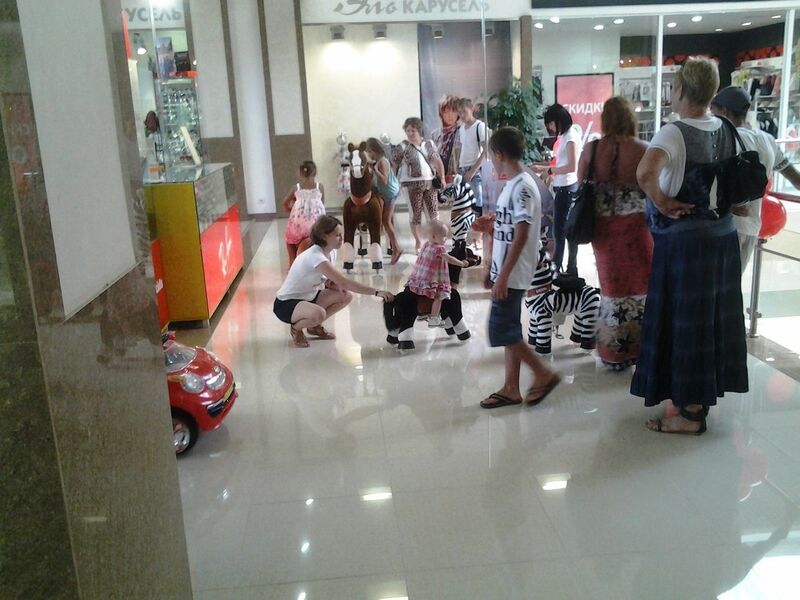 In order to boost your business you can use clowns or face-paints to attract children’s attention, while it is also possible to strike up a mutually beneficial partnership with nearby restaurants and cafes where parents can have a drink or a bite to eat while their children go for a ride. 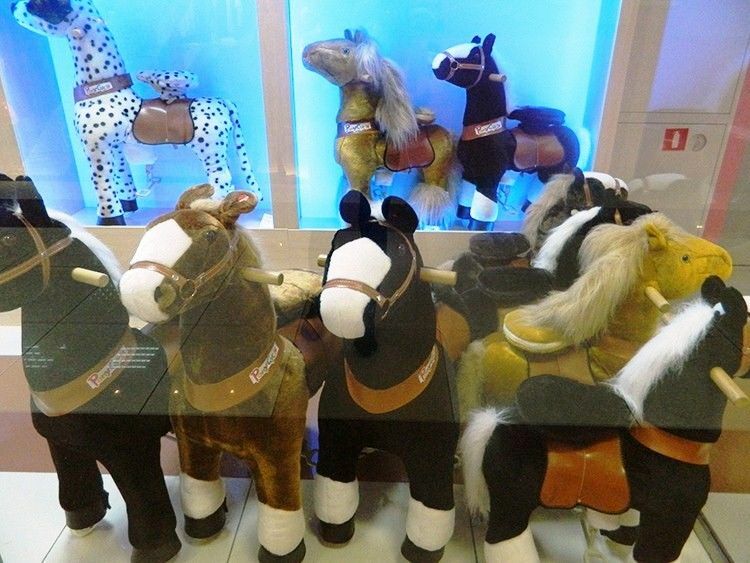 If you are looking to set up an indoor PonyCycle rental business we recommend that you invest in at least 5-7 units - maybe one big, two medium, two small - while 10 is a good starting point for outdoor rental. Remember - kids attract other kids, and so the more PonyCycles you have out and about, the more custom you are likely to get. To avoid queues you need more units. Despite the manufacturer’s warnings, some entrepreneurs still choose to offer home-use PonyCycles for rental. While this saves money initially, the home-use PonyCycle is designed to be loved and looked after by one owner, not ridden enthusiastically by dozens of children every day. This makes the home-use cycle more likely to break if used for rental. If your PonyCycle does break, you can always count on our technical support service. A second way to make money from PonyCycles is to retail home-use models on or offline. 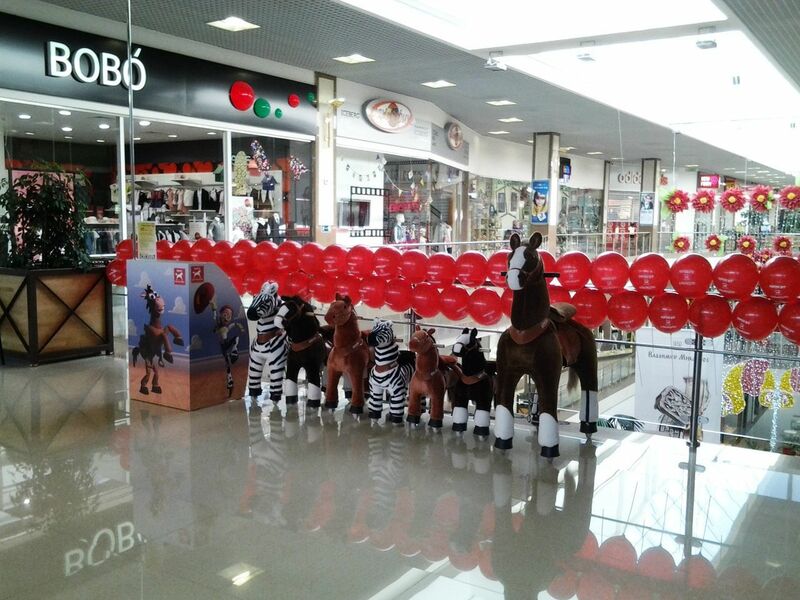 At present we offer 10 different versions of the medium PonyCycle and and 8 versions of the small model. 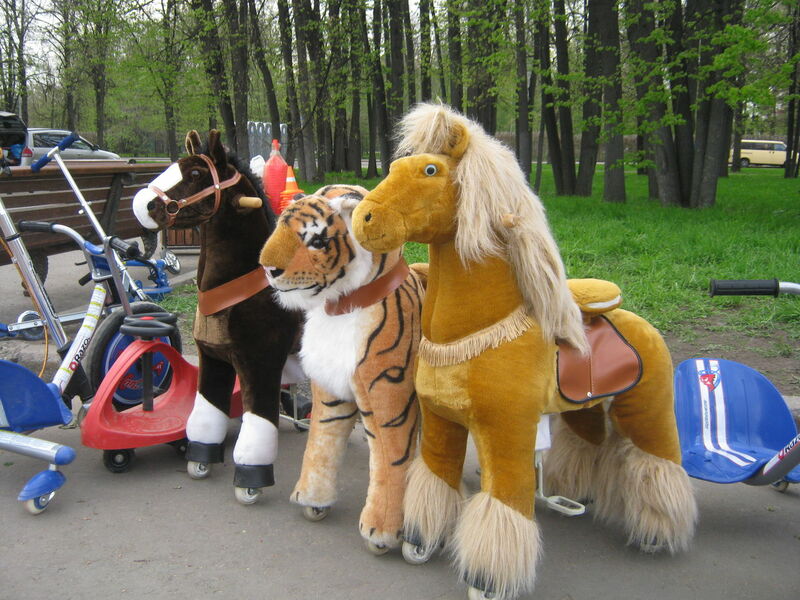 Retail can, of course, be offered alongside a rental business so that parents, having seen how much their kids love to ride a PonyCyle, can buy one to take home. 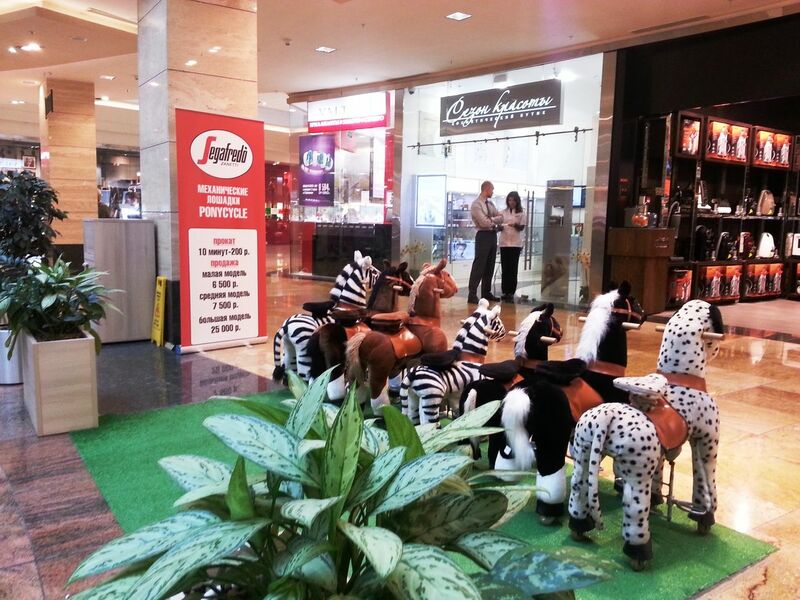 PonyCycles would be a profitable addition to any toyshop owner’s stock. 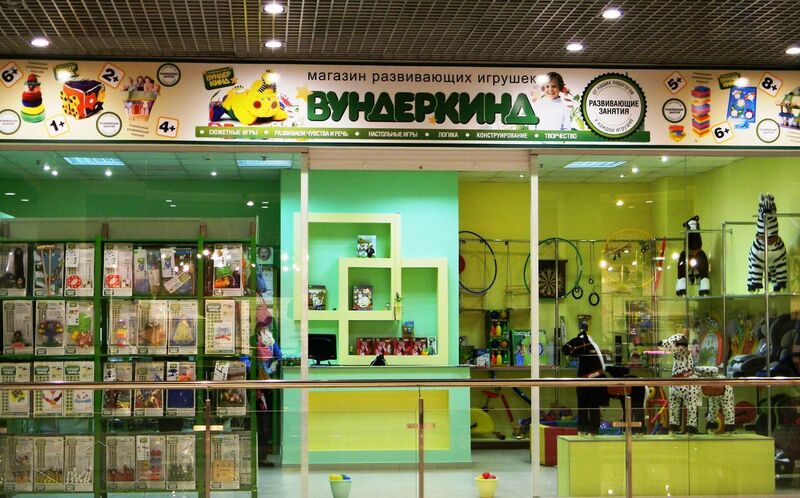 The brand is unique and becoming increasingly well-known and popular around the world . However you choose to use PonyCycles in your business, we can help. In addition to offering excellent retail and wholesale prices and technical support, our site can also include your business in our “PonyCycle finder” service, which should increase your client base. 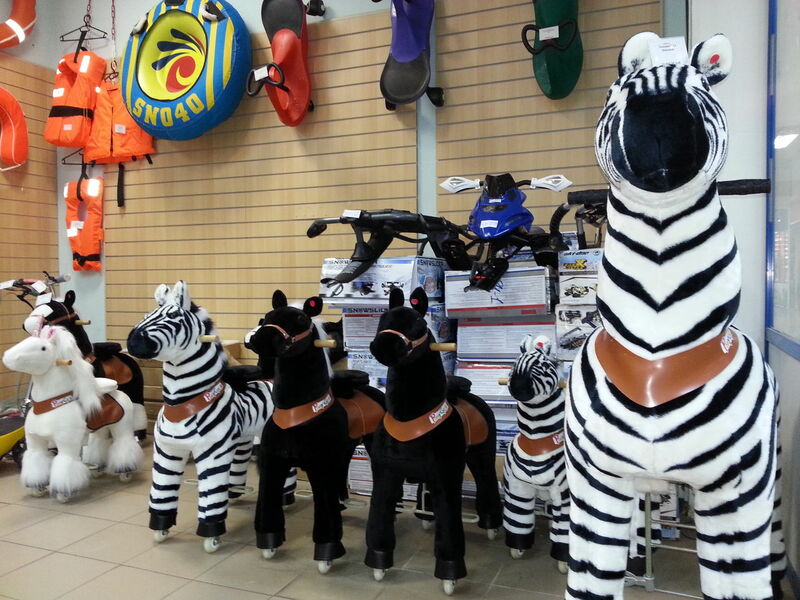 PonyCycles can also be an asset to a range of existing small businesses. 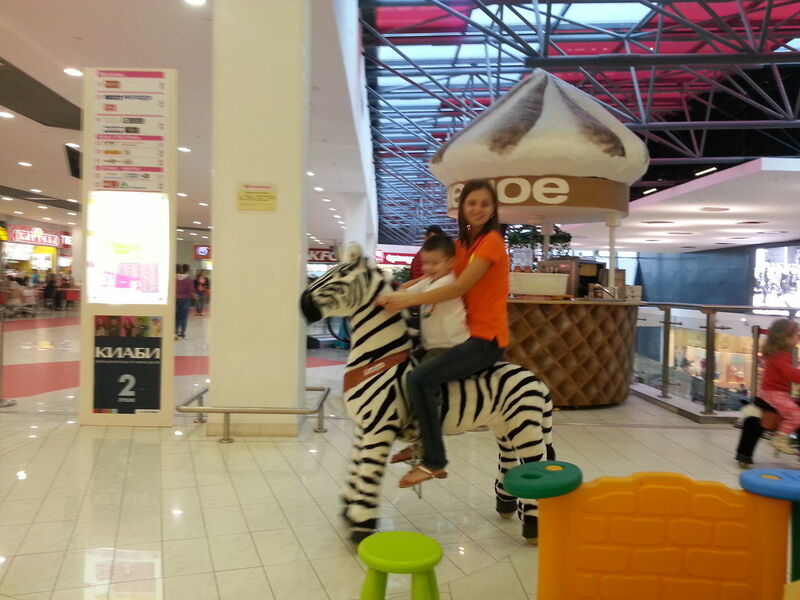 For example, cafes and restaurants can use them to attract customers - when children see other children riding they are drawn in, bringing their parents with them! 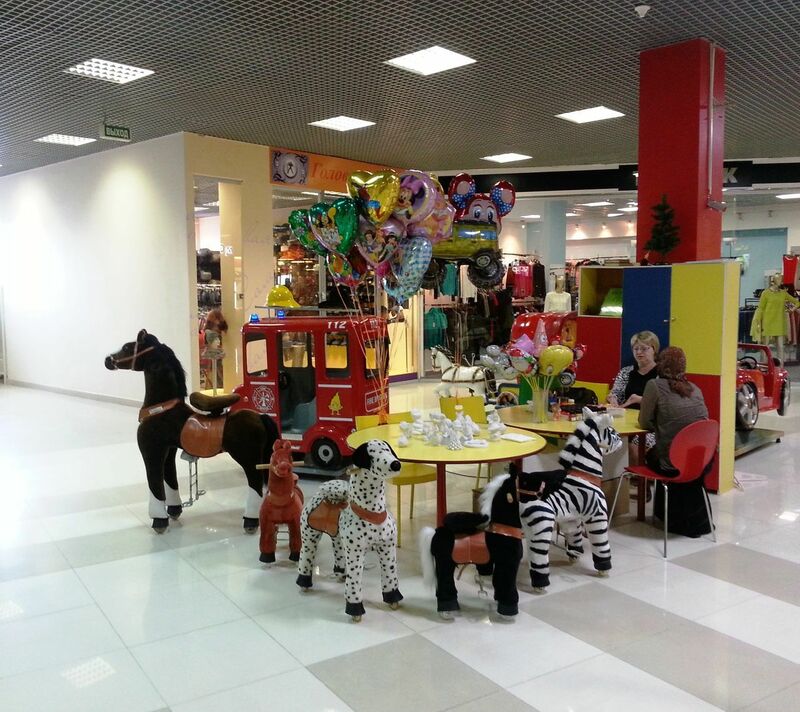 PonyCycles are also useful in places where children need to be kept entertained while their parents are busy – like medical and dental centres, hairdressers or salons. 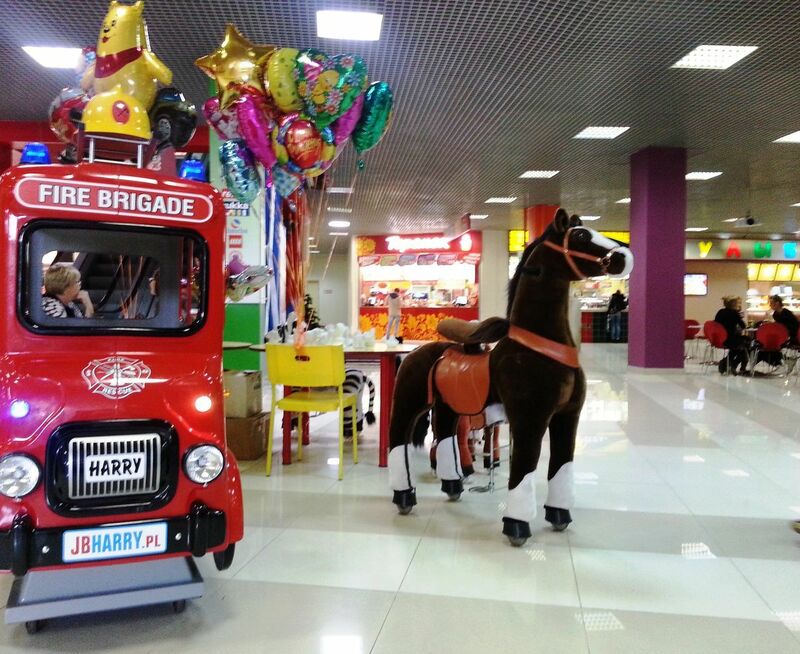 And if your business organises children’s parties then you can, no doubt, imagine the effect of the birthday boy or girl riding in on a noble steed. We are planning to keep this list updated as our clients tell us how they are using PonyCycles in their business, and also as the manufacturer releases new products. Once you’ve decided to set up a “PonyDrome”, the first thing you need to do is identify a suitable spot. You will need quite a big area so that a number of PonyCycles can be used at once without interfering with neighbouring businesses. 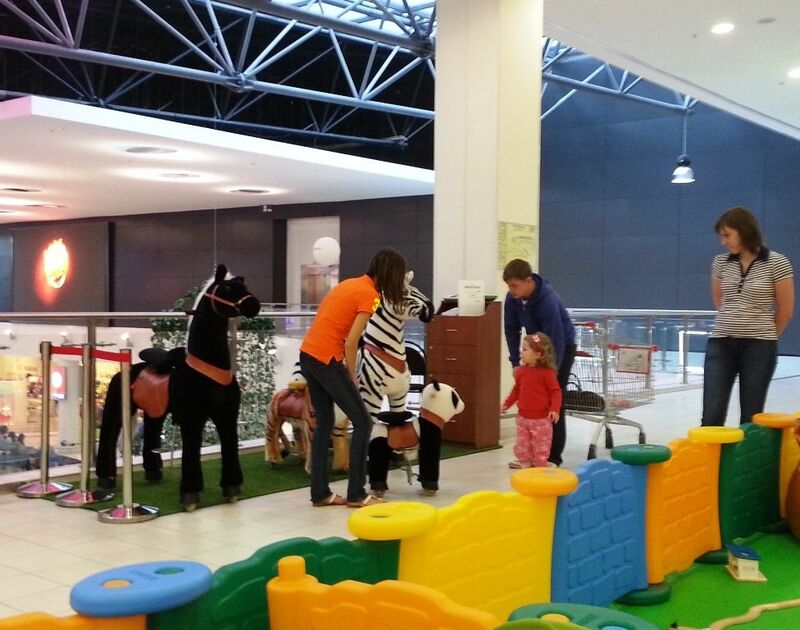 To ensure that you’ll be able to find enough space, you should choose a shopping centre of at less 3000 sq.m. If the centre already has play-facilities for children this is a big plus - as parents are more likely to come with their kids. 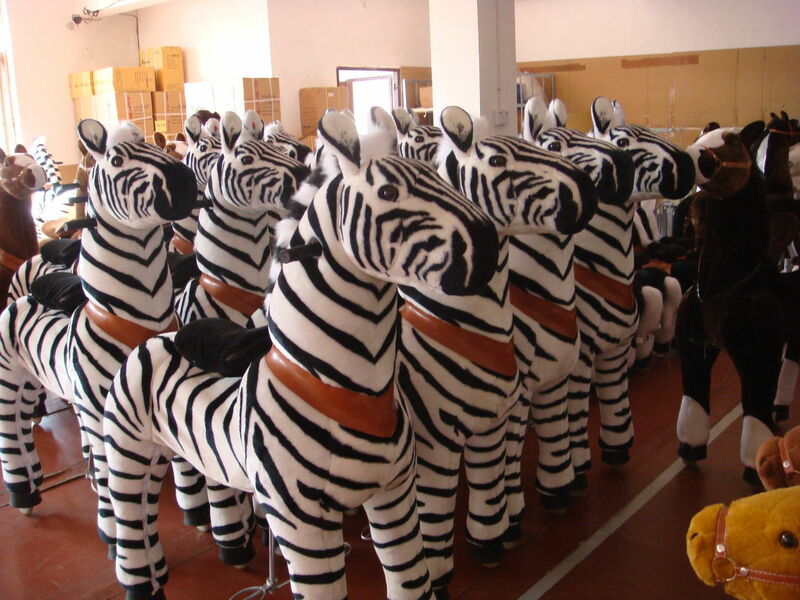 However, there is no guarantee that, having seen the success of your business, others won’t try to get in on the act with their own PonyCycles. When you make your rental agreement make sure to find out about other activities you’re allowed to offer on your site. 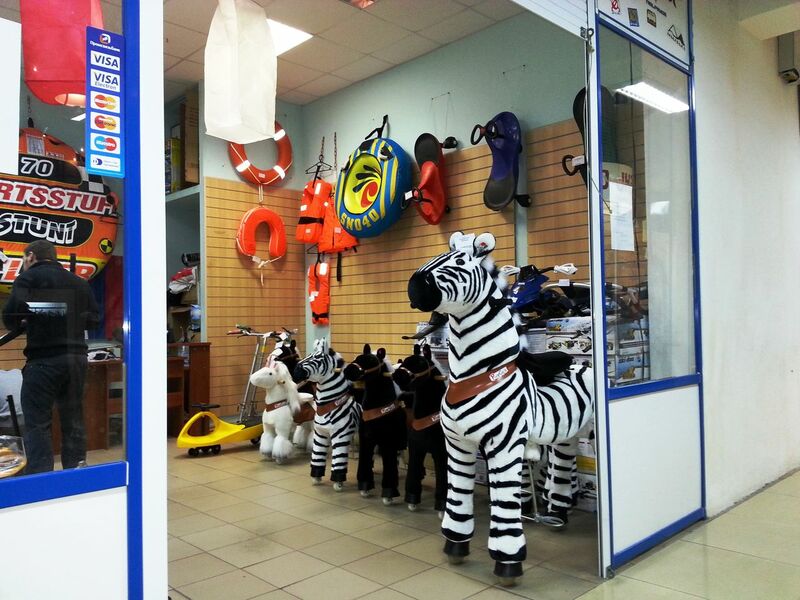 If you can offer face-painting, clowns, photography and other activities this will certainly help you to boost custom. You are also likely to save money if you can agree to only operate on certain days - say Friday, Saturday and Sunday. On weekdays there tends to be very little custom, so it isn’t worth paying to be there. 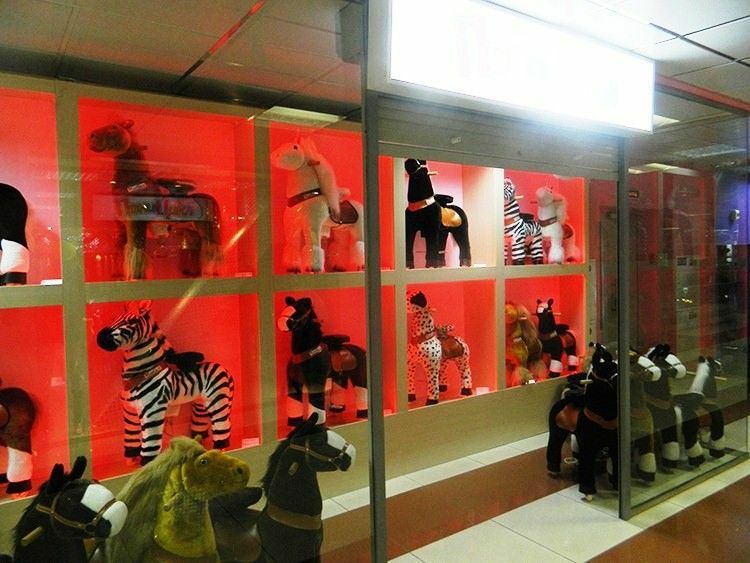 Your first decision is how many ponies to buy - some people like to start with 4 or 5, others with 7 or 8. From our experience, if you can start with more than 10 then do it! 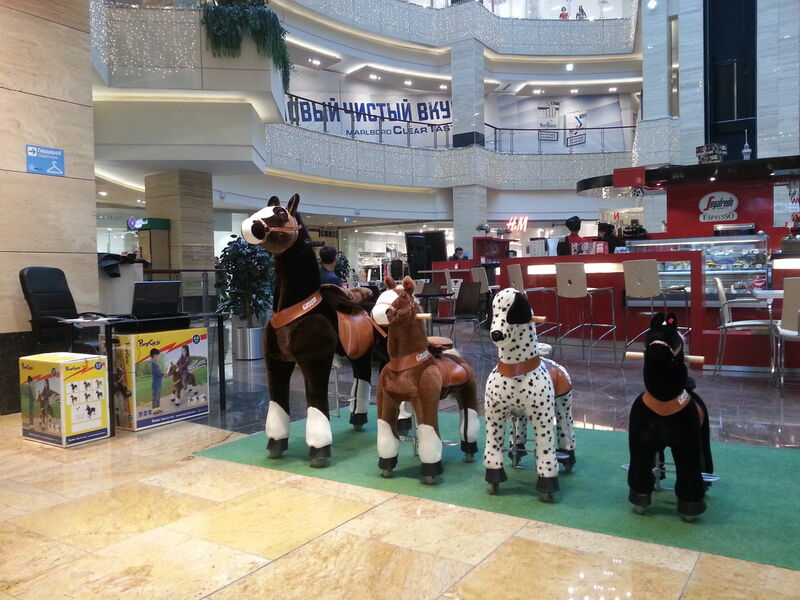 More PonyCycles (with different designs) will make your space more lively and attractive. 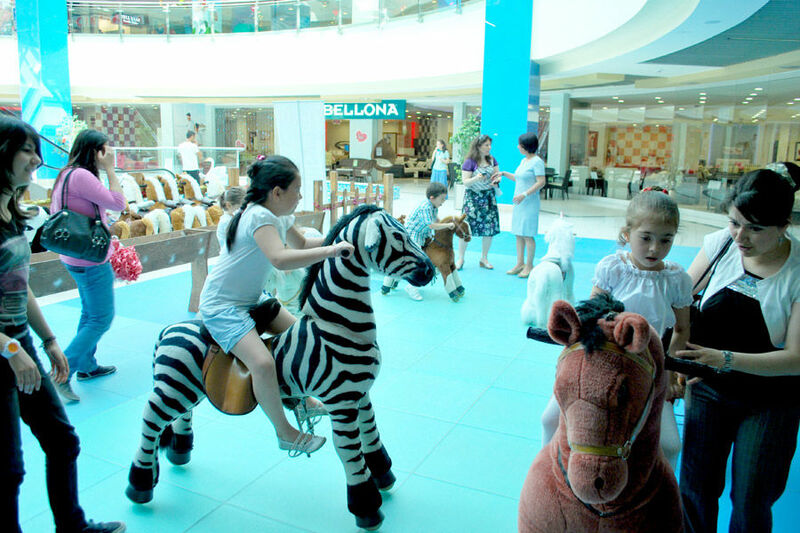 Furthermore, having different PonyCycles will make children more likely to ride again - once on a horse, then on a unicorn, then on a zebra. 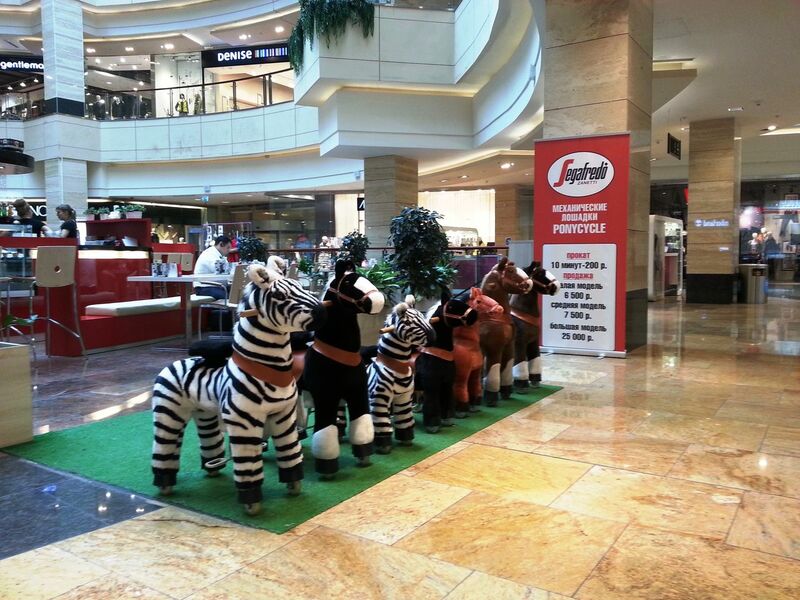 Furthermore, by spreading clients across more units, you can increase the working life of each PonyCycle. In order to maintain interest it is best to introduce new models every month or so. 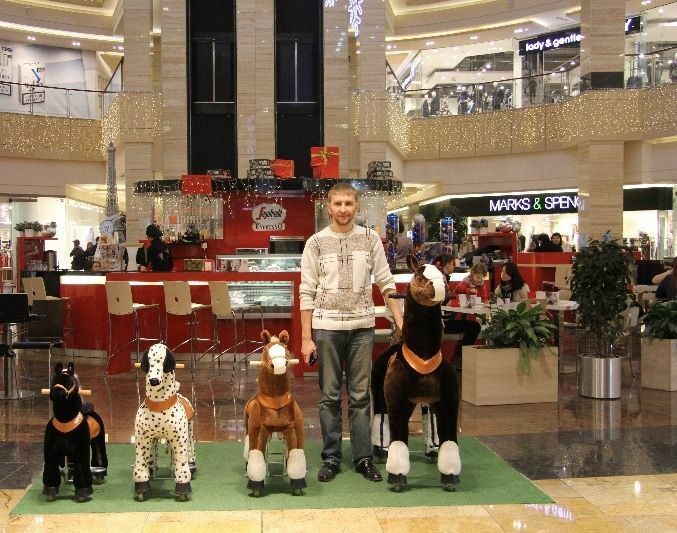 We have found that it’s best to offer: three large PonyCycles, four medium professional, three small professional. It’s also always worth having a couple of new home-use models in stock in case someone wants to make a purchase. Don’t worry too much about your PonyCycles getting dirty - they can easily be cleaned using Vanish. 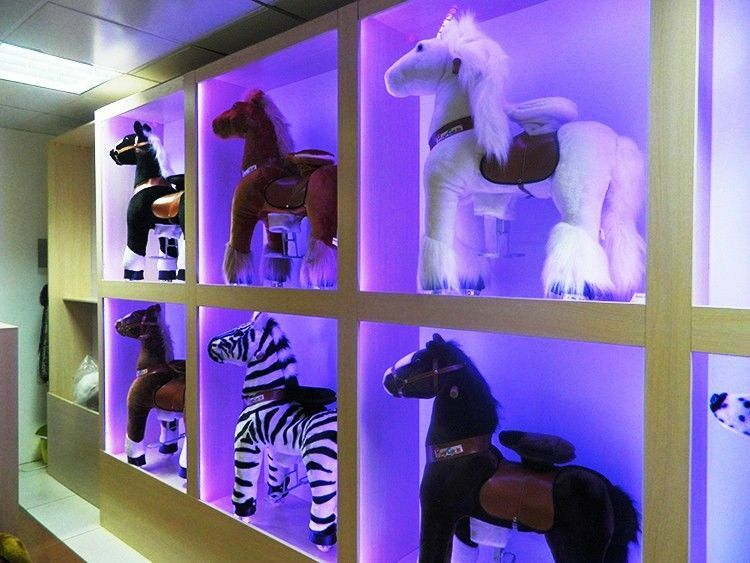 There are countless ways of bringing your PonyDrome to life. Some people use hot-air balloons, others cowboy hats and indian ponchos. 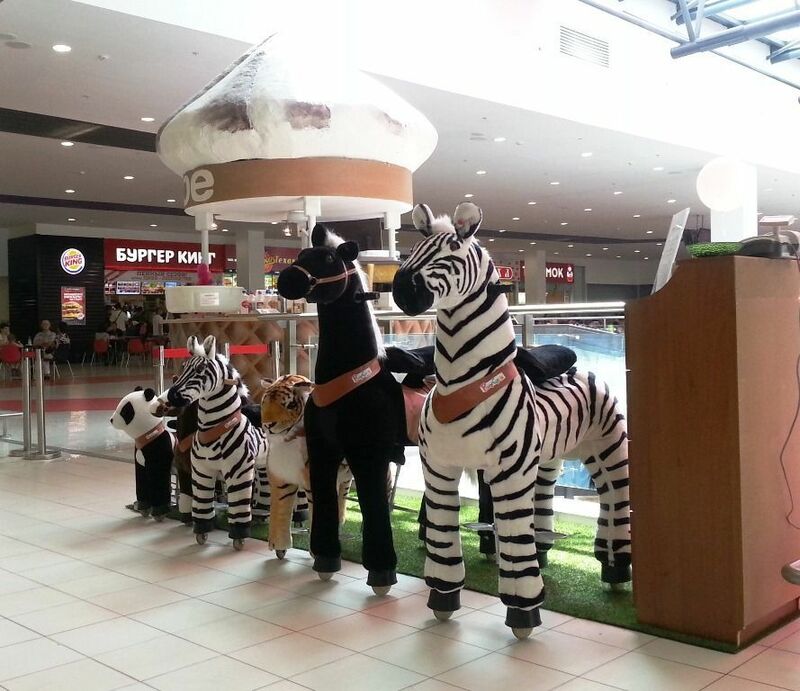 Whatever you choose - make sure that your stand is bright and attention-grabbing. 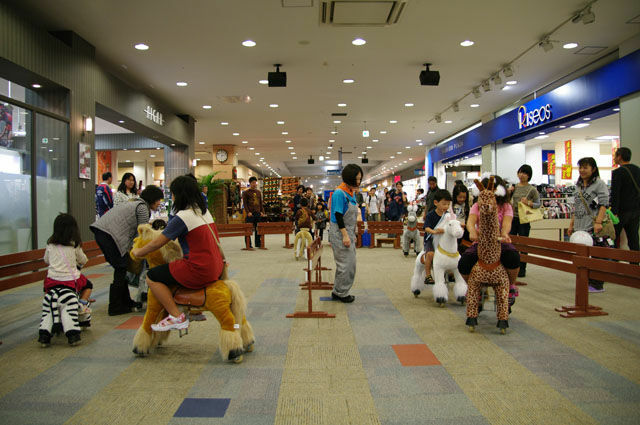 If you can, put up a screen and show videos of kids riding PonyCycles. 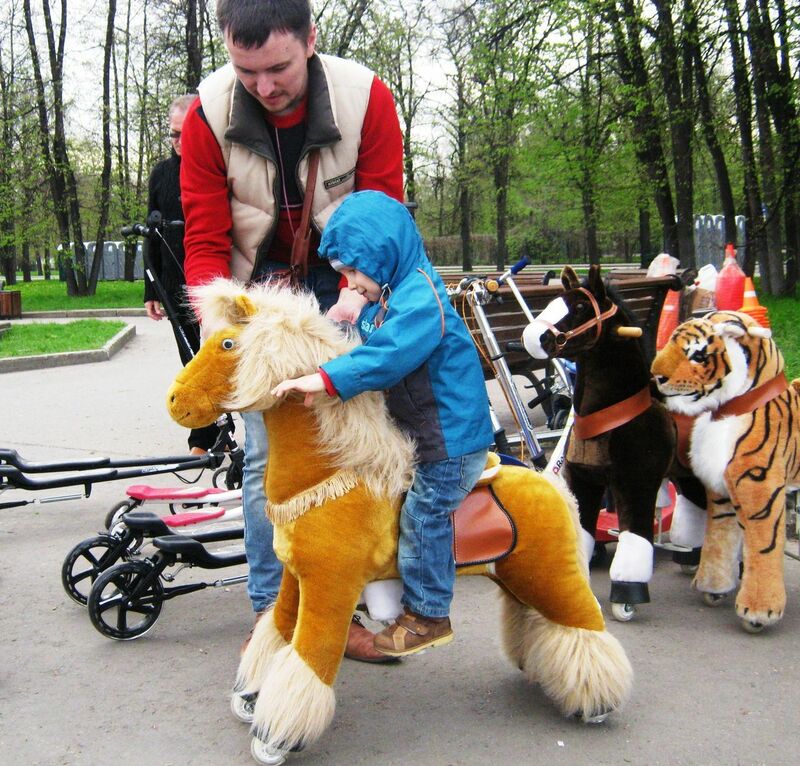 Often parents return with their children after seeing PonyCycles in action on screen. If the centre-management allows it, play children’s music. Crucially - make sure that the PonyCycles are clearly visible. If they are tucked away in a corner then people are much less likely to want to use them. It’s also essential to put up a list of safety guidelines - something like this. 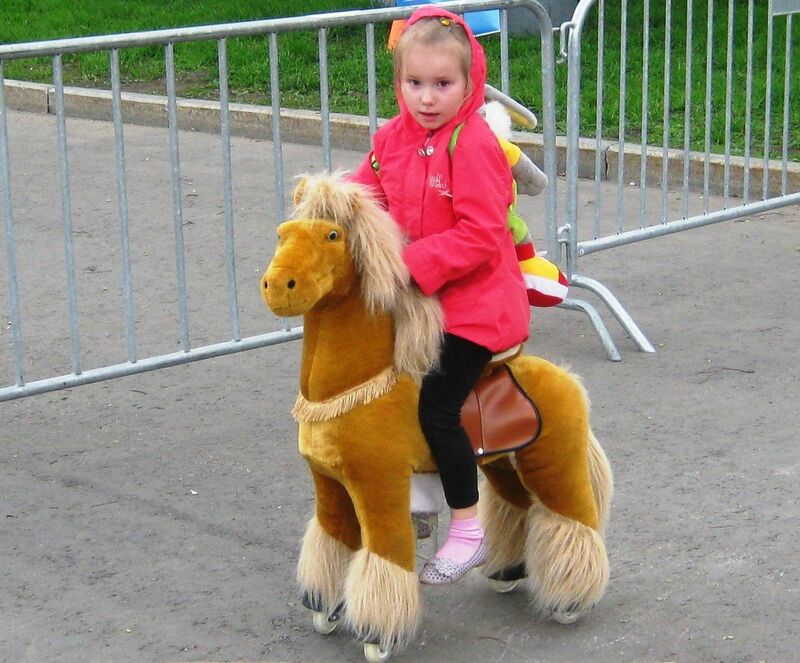 1: Children younger than 7 years must be supervised at all times when riding a PonyCycle. 2: You must not give children a push in order to speed them up or organise races, as these can cause the children to get hurt. 3: Children can only ride on PonyCycles suitable for their weight. 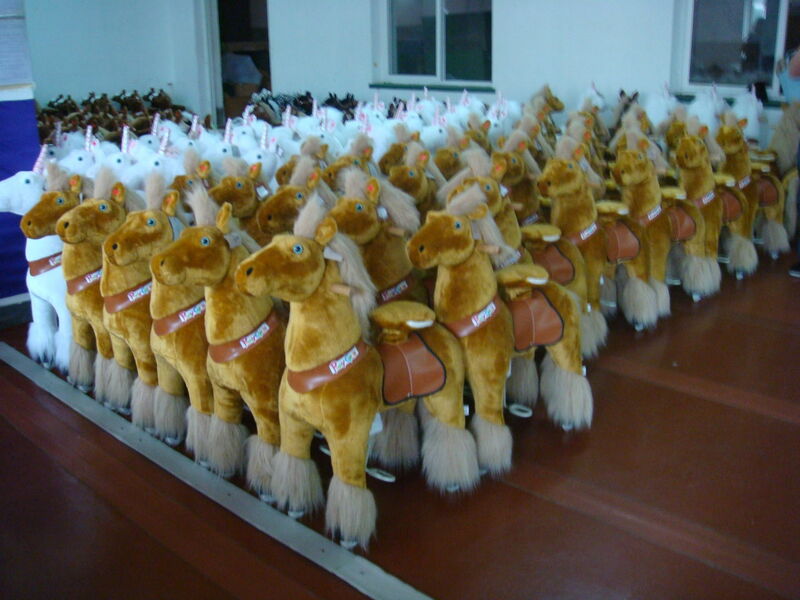 If you decide to employ others to operate your PonyDrome, make sure that you have a way of overseeing it yourself. If you do choose to install cameras, it is still worth being present as much as you can. 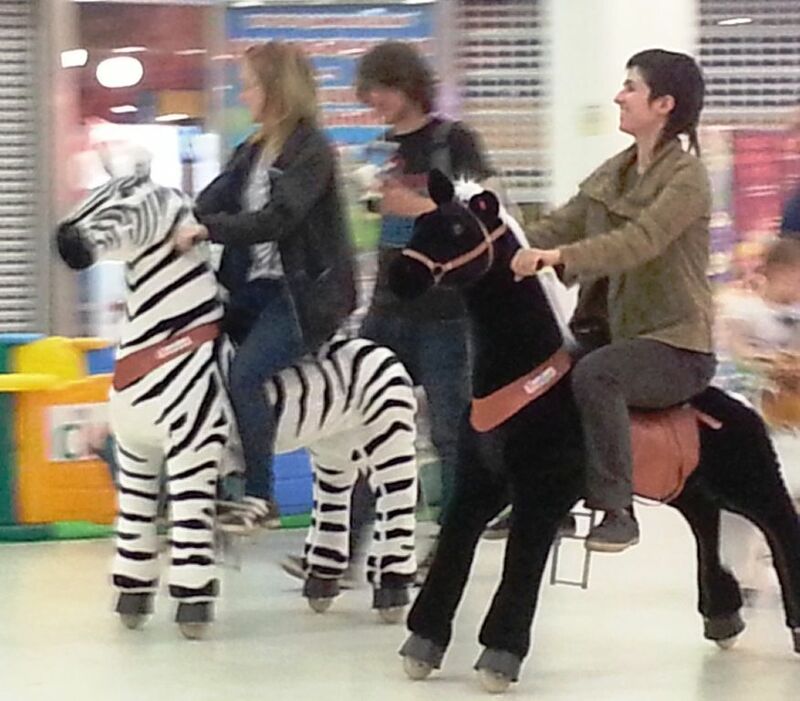 It’s very important that PonyDrome staff do more than just sell tickets. 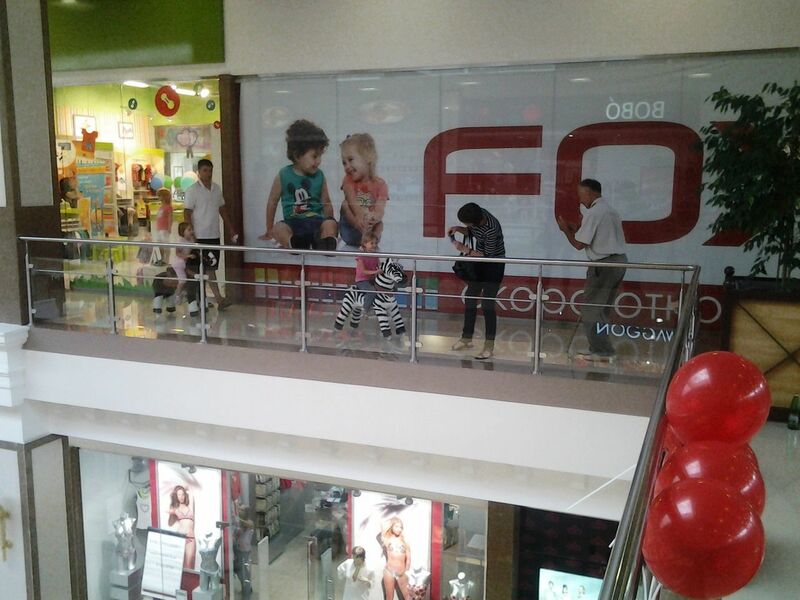 They need to be able to attract and entertain the children themselves. They should also be responsible and ensure that the rules are observed and that the PonyCycles are kept in good condition (clean, well-oiled etc). On weekends your staff will be busy, but on weekdays they are likely to have less to do. This is why, if possible, it’s worth agreeing not to operate a couple of days a week, and to pay less rent accordingly. If you really want your PonyDrome to succeed, then it will. 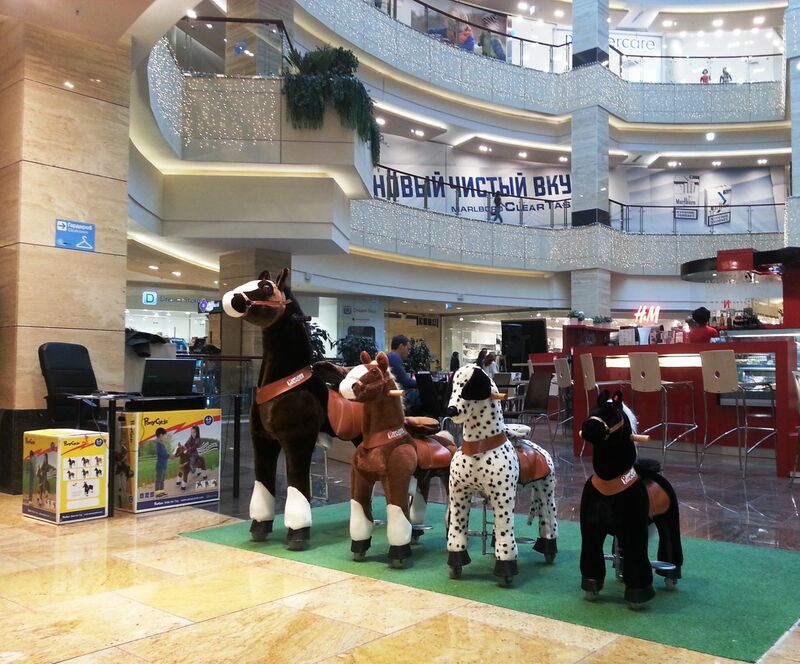 However, you can’t just buy some PonyCycles, put them in a park, square or mall and expect to make a profit. 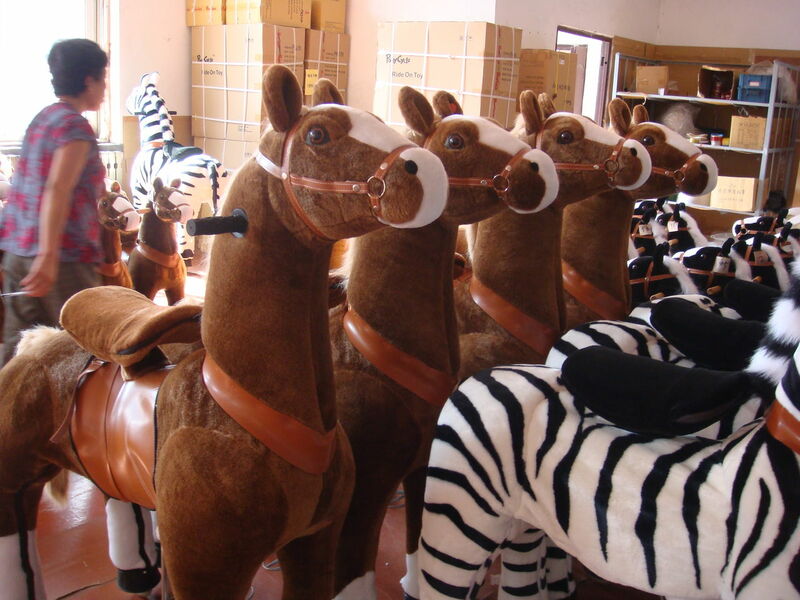 A PonyDrome is not a business by itself – it is only one part of a successful business. In order to succeed you need to offer other services that are just as interesting as the ponies themselves. You could employ entertainers, clowns, fact-painters, artists, photographers and teachers, as well as retailing other toys. 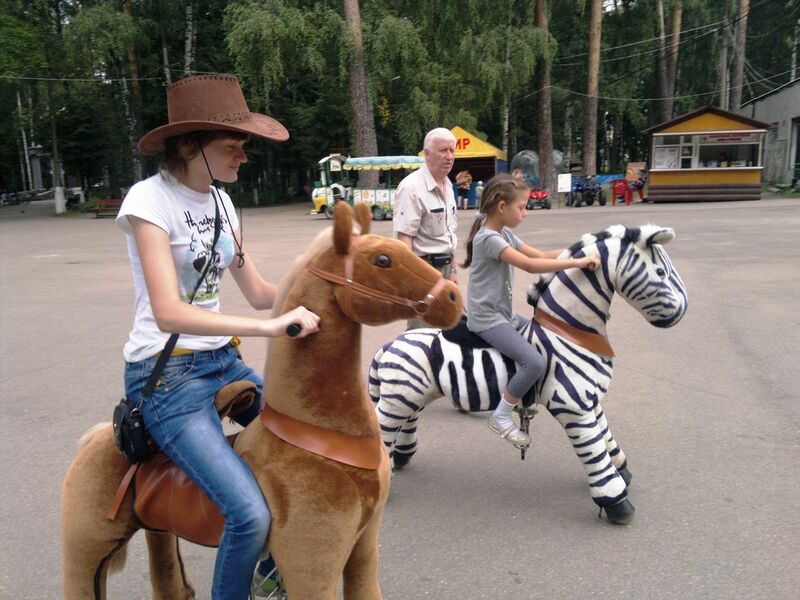 People who think that a PonyDrome is a temporary business - low cost, small profit - make a mistake. If you just buy a set of PonyCycles and let kids ride around on them you might make money for a while, but it won’t last. 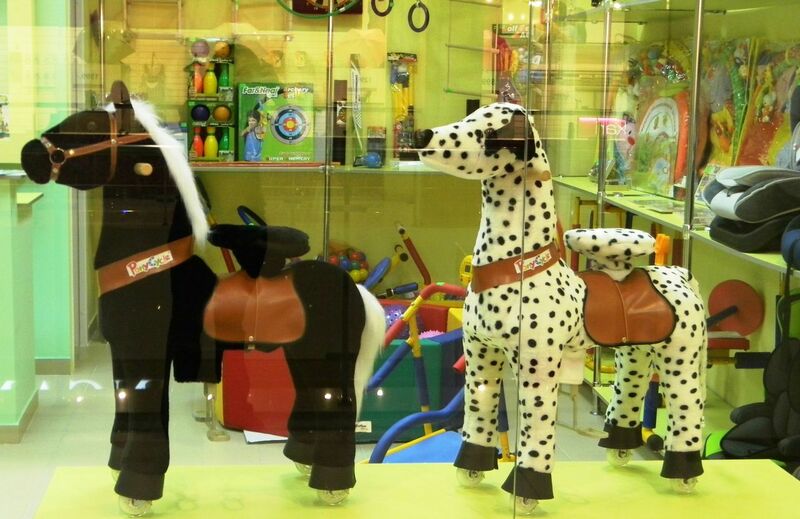 In order to make a PonyDrome work in the long run you need to see the wider potential of these innovative toys and build your business around them.